The Mazda Miata: Fun For People & Cats! The neighborhood cat who owns me is using my Miata as furniture. 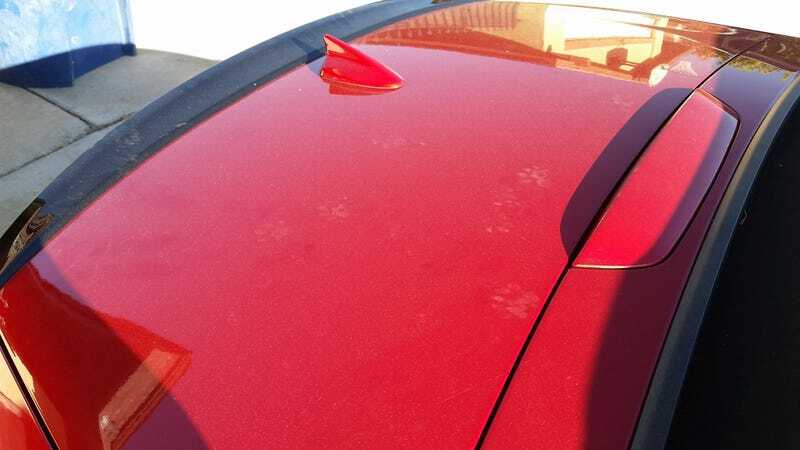 I’ve got a whole mess of cat hair on the top to go with the paw prints on the trunk. Oh well, the cat keeps the house mouse-free, so I can’t really complain. My car does look like a fun toy.